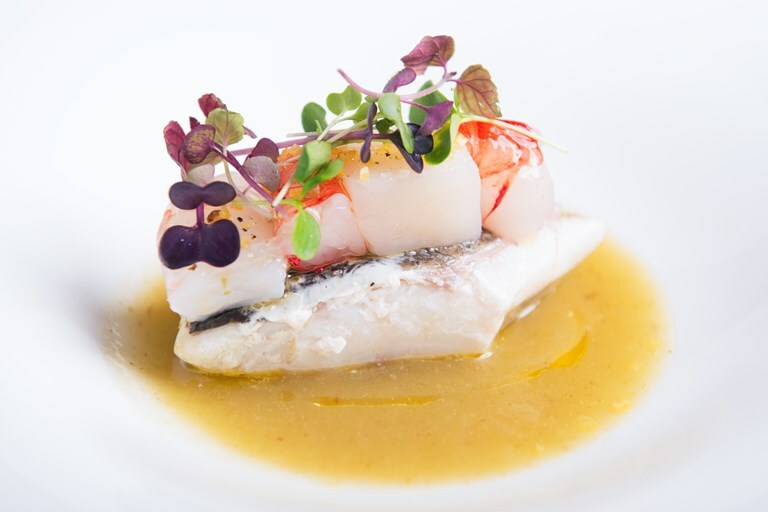 This elegant sea bass recipe from the Costardi Brothers is the perfect seafood starter for a dinner party. Quick and simple to prepare – albeit requiring a little cheffy equipment – the crisp, refreshing apple and fennel sauce can be prepared in advance and kept in the fridge until ready to serve. Make sure you opt for the freshest fish possible, particularly for the prawns and scallops.